Steven Towns didn’t originally plan to go to Super Bowl XXXIX, but one phone call led to a change of heart. Towns got off the phone and quickly booked a plane ticket to Jacksonville, Florida, where the New England Patriots would face the Philadelphia Eagles two days later in the Super Bowl. However, Towns didn’t make the trip for the game. He wanted to be present for the NFL’s announcement of the 2005 Pro Football Hall of Fame induction class. By Saturday, he arrived at Jacksonville’s Prime F. Osborn III Convention Center, just in time for a noon news conference. He entered a big room, at the front of which hung photographs of the year’s four inductees: longtime Miami Dolphins quarterback Dan Marino, three-time Super Bowl-winning quarterback Steve Young, the late four-time All-Pro quarterback Benny Friedman and, last but not least, the man Towns traveled nearly 1,000 miles to honor. He marveled at the sight of a photo of Fritz Pollard, his late grandfather, who in 1923 became the first African-American to play quarterback in the NFL. Stephen Towns, grandson of quarterback/running back Fritz Pollard, at the Pro Football Hall of Fame enshrinement, Aug. 7, 2005, in Canton, Ohio. “I was so glad I went, because I was the only representative there from our family,” said Towns, one of Pollard’s four grandchildren. “I got there, and I’ll never forget walking in that door, and I saw the four pictures of the four inductees and my knees almost buckled. Frederick Douglass Pollard, nicknamed “Fritz,” was born in 1894 in Chicago to a Native American mother and West Indian father who made a name for himself during the Civil War as a champion boxer. Pollard attended Brown University, where he emerged as a star football player despite experiencing racial prejudice in the form of slurs shouted at him during games, including a matchup against Yale in 1915, during which the crowd continuously belted the song “Bye Bye Blackbird” when he took the field. That same year, Pollard became the first African-American to play in the Rose Bowl and the second African-American college football player to be named an All-American (behind William Henry Lewis, who received the honor twice in 1892 and 1893 while attending Harvard University). “One of the greatest runners these eyes have ever seen,” opined sportswriter Walter Camp, who was responsible for selecting All-Americans. 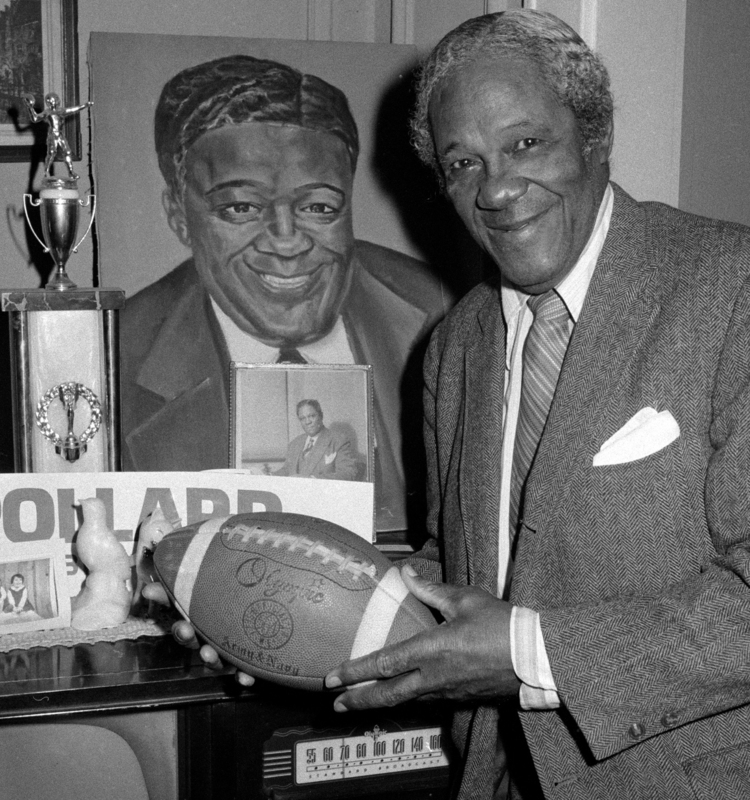 Pollard’s pro football career began in 1919, when he became a member of Ohio’s Akron Pros, who eventually joined the American Professional Football Association, which was renamed the National Football League in 1922. Same as in college, Pollard experienced racism from fellow players who didn’t want him on the field. One of those skeptical counterparts was none other than star player Jim Thorpe, even though both he and Pollard shared a similar background, with each having Native American mothers. Fritz Pollard, 81, who was one of the first black head coaches in pro football history, reminisces at his home in New Rochelle, New York, on Feb. 12, 1975. “I didn’t get mad at them and want to fight them. I would just look at them and grin, and in the next minute run for an 80-yard touchdown,” Pollard said in an NFL Films interview first released in 2014, nearly three decades after his death in 1986. At 5-foot-9 and 165 pounds, while playing in an era long before football became a passing game, Pollard’s speed and athleticism made him a natural halfback — the same position for which he’d ultimately be inducted into the Hall of Fame. 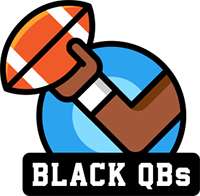 Yet when he signed with the Hammond Pros in 1923, he became the team’s signal-caller, marking a new era in the young history of the NFL as the league’s first black quarterback. Another distinction, however, meant far more to Pollard. In 1921, two years before pioneering the quarterback position, he was named the co-coach of the Akron Pros, making him the first African-American head coach in NFL history. “I wanted the honor of being the first black coach more than anything else,” Pollard told NFL Films. Outside of two stints with Akron (1920-21, 1925-26), according to the Hall of Fame, Pollard went on to coach three more NFL teams — the Milwaukee Badgers (1922), the Hammond Pros (1923, 1925), and the Providence Steam Roller (1925) — before leading his most famous pro team, the Harlem, New York-based Brown Bombers, from 1935-38 after a “gentleman’s agreement” enacted by NFL owners in 1933 segregated the league. 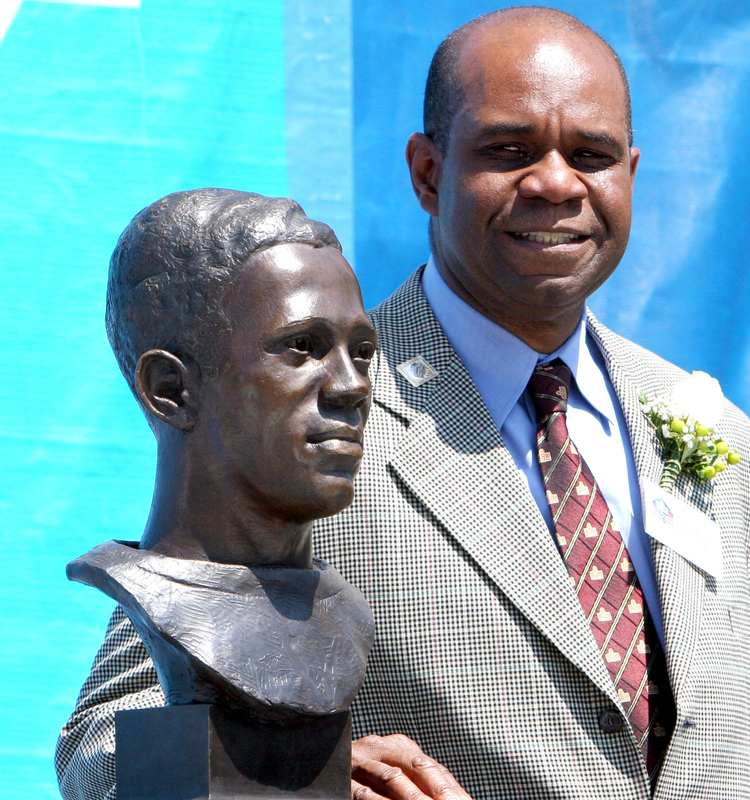 In an effort to preserve Pollard’s coaching legacy and extend the trail he blazed in 1921 as the league’s first black head coach, the Fritz Pollard Alliance was established in 2003 as an affinity group consisting of NFL personnel dedicated to creating more opportunities for candidates of color in search of coaching and front-office positions. Yet it wouldn’t be until 2005, after years of research and campaigning, that Pollard’s full legacy as both a player and coach was fully recognized. On Aug. 7, 2005, almost six months to the day after he received word that his grandfather had earned a long-overdue bid into the Hall of Fame, Towns made the journey from Indianapolis to Canton, Ohio, where he spoke on behalf of his family at the induction ceremony.